High-speed trains offer the convenience of a quick, quiet ride in modern train cars. They get you from place to place efficiently, in comfort, and in a short amount of time. You can relax and enjoy conversation or the scenery while traveling great distances. High-speed trains run on special tracks that keep them quiet, or have special suspension to keep them running smoothly on regular tracks. These trains travel at upwards of 150 miles per hour, and usually run direct routes to major European cities. Rail passes cover most high-speed trains. 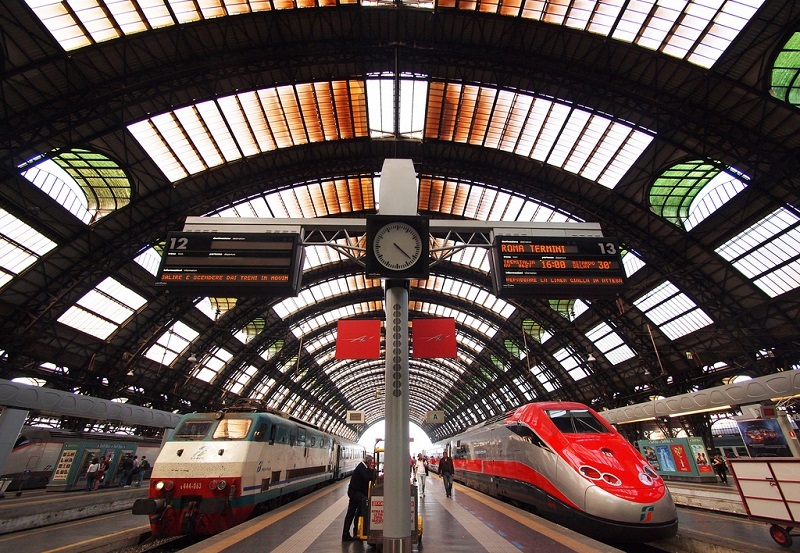 In the cases where high-speed travel is not covered, rail passes allow discounts on fares. A supplement or reservation fee is required for travel on most high-speed trains. More information here. Pamper yourself on one of these trains, where you’ll experience relaxation and adventure while you travel! Speciality trains revolutionize your vacation by making a tour of the countryside more interactive than any other method of travel. These journeys usually last from a few days to an entire week, including stops at different attractions and cities. Prepare for the most luxurious, exciting, and historic rail adventure around the globe. It is truly a once in a lifetime experience! Overnight trains and hotel trains have a range of accommodations, which include sleepers, couchettes, and sleeperettes. All sleepers and couchettes convert from seats to berths for nighttime travel, and back to seats for daytime travel. Sleeper compartments have washbasins, soap, towels, a razor plug, mineral water, and a lockable door. The berths come with pillows, sheets, and a duvet or blanket. Stewards are present in the sleeper cars to assist you and take care of all border crossing procedures for you. Many of the stewards speak the languages of the countries the train will pass through, as well as English. Compartments are gender specific unless booked entirely by couples or families. Fares for sleepers require a 1st class ticket or a rail pass plus a supplemental fee for the sleeper. First class/rail pass travelers can book a single, double, or triple sleeper. Single passengers can reserve a double sleeper but they may have to share with another passenger based on availability. Couchettes are compartments with berths for 4-6 people. Each berth has a pillow, sheets and blankets. Washbasins are not available in the compartments, but restrooms are at the end of the car. Berths can be booked individually or in groups. Compartments are non-gender specific and travelers are expected to sleep in their day clothes. Stewards are available only on international routes. Fares for couchettes require a 1st or 2nd class ticket or a rail pass plus a fee for the couchette. Sleeperettes are seats in open coach cars that recline to allow you to sleep more comfortably. Seats may have small head pillows attached, but no blankets are provided. Fares for sleeperettes require a 1st or 2nd class ticket, or a rail pass and a reservation. There is normally no additional cost for sleeperettes, however some hotel trains may charge a higher reservation fee for seats. Hotel trains combine long distance night travel with the security, privacy, and comfort of a hotel stay. All compartments have locking doors and access to dining cars. There are three levels of accommodation: Tourist, First Class, and Luxury Class. Tourist class accommodations include 4 beds to a compartment. Toilets are found outside the compartment in the car. First class accommodations include compartments with one to two beds. Toilet and shower facilities are located outside the compartment in the car. Luxury class accommodations include one to two beds per compartment. They also include a private toilet and shower within the compartment.